Hey guys! What a chilly day today in the big apple. It is officially time to bring out the boots! 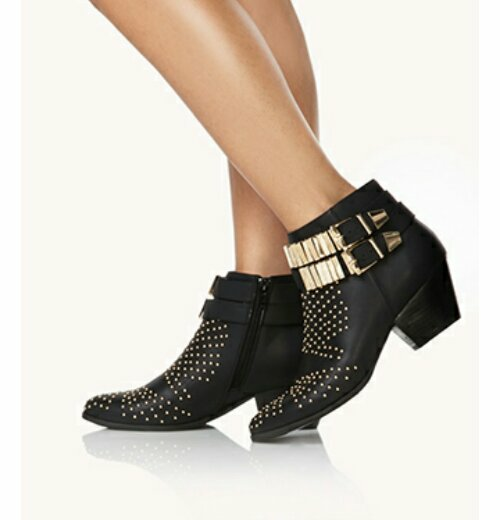 With that being said I’ve been looking for some black and gold studded rocker-ish boots, and guess what? I found them!!!!! I was deliriously excited until I saw the price tag ($1,350). 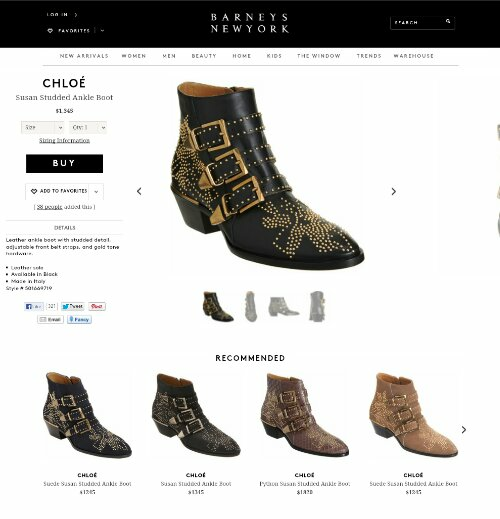 These Chloé boots are to die! I just can’t bring myself to pay more for boots than I do for rent! Sooooo as you know my bargain loving self went hunting for a close second and where better to look than Forever21. 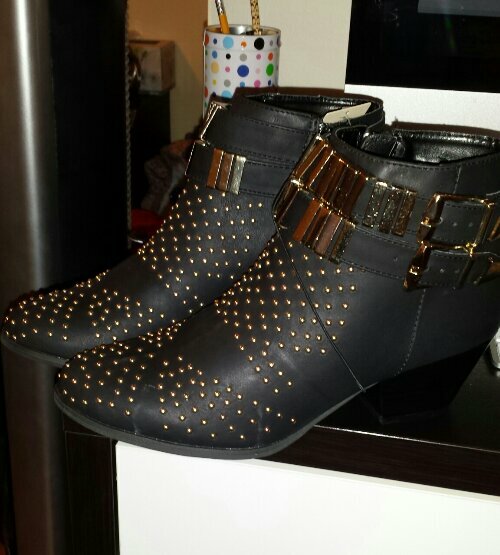 These black faux leather studded booties do not disappoint! Now they do not have the exact design but come pretty close with the studded detailing and gold buckles. They are super comfy which is a plus and the best part is they were only $42.80! Don’t you just love it when you find something you love at such a good price? That is called happiness in my book! So remember ladies and gents there is ALWAYS a dupe out there for an item you have got to get your hands on. Yes I know sometimes you would rather have the original but not when you have to sacrifice your life (I would become the woman who lived in her shoe). Here are my new bad boys. I’m going to wear these for Drake’s concert on Sunday. I hope he likes them! Beautiful alternative! Im actually diggin the F21 stud design better, good eye. Yes me too! After viewing the Chloé ones in person I felt the detailing was a bit too much for me. The forever pair have just the right amount of gold. Thanks for the compliment!